Loss comes to each of us, without fail. Scripture can serve as a companion to us in the grief we bear and ultimately in our surrender to our compassionate God. 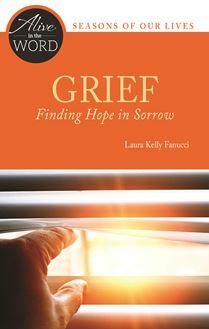 Through this set of insightful reflections on the stories of Ruth and Naomi, the death and raising of Jesus' friend Lazarus, and the promise of a new heaven and earth, Laura Kelly Fanucci invites us to a deepening experience of God's healing presence in our lives. Laura Kelly Fanucci is the research associate for the Collegeville Institute Seminars. She is the author of Mercy: God's Nature, Our Challenge and Dashed Hopes: When Our Best-Laid Plans Fall Apart in the Alive in the Word series; Everyday Sacrament: The Messy Grace of Parenting (Liturgical Press, 2014); and the coauthor of Living Your Discipleship: 7 Ways to Express Your Deepest Calling (23rd Publications, 2015). She blogs about spirituality and parenting at www.motheringspirit.com.